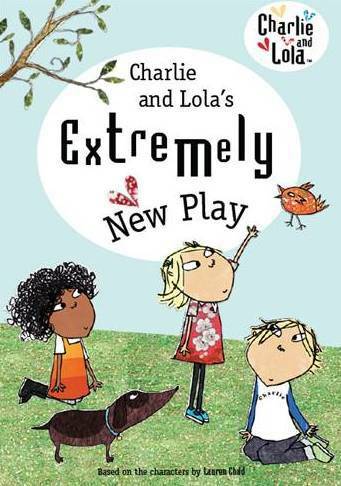 Charlie and Lola's Extremely New Play - Win Tickets! Charlie & Lola's Extremely New Play is on tour! OK - it's school holidays and what, what, what to do with the kiddlings? What about some live - and funny - entertainment for littlies and their carers alike with Charlie and Lola's Extremely New Play?? Who under the age of 100 doesn't get a giggle out of Charlie and Lola? You've got to admit, they are pretty cute! If not laughing at the antics of this fave ABC TV kiddie-couple yourself, you'll definitely get a buzz from watching your children's joy and laughter as they watch this fun mix of live acting, puppetry and music. 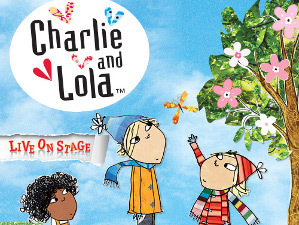 This new show is the sequel to their sell out tour from 2012, 'Charlie and Lola's Best Bestest Play', and is on tour in Australia over Christmas. It promises to be a hoot. A gorgeous play about friendships and adventure, check out Charlie as he takes off with his best friend Marv on a Pirate Squidbones Adventure (you heard it here first!!!). Even more thrilling will be finding out what happens when Lola and her BFF Lotta promise to 'completely' look after Sizzles the Dog! Oh No!!! Poor Sizzle the Dog ..... ! Our friends at Live Nation are giving some lucky WEN readers from Perth, Canberra and Melbourne the chance to win free family tickets to this great show. To enter the competition, just email competitions@weekendnotes.com with the name of Lola's best friend in the subject line by the 15th December 2014. Here's a hint. For those who never, ever, ever, ever win competitions and just love the security of buying a ticket, you can buy them online at Livenation. Prices are $34.90-$44.90. Why? Because everyone needs a good giggle - especially with their kids!